Some days we need to take a time out from life and run away into the beautiful spaces so that our souls can be fed with the ambience of grace. Like Jesus, we need to get away with God on that mountain to pray and let the blessing of His righteousness be the exchange. I ran away with my kids today. 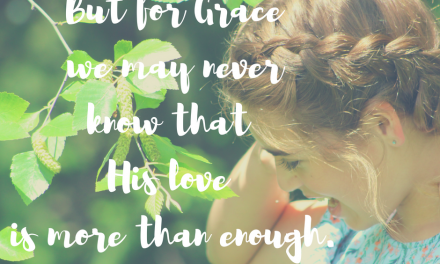 We took a time out together because we all needed the freedom that choosing grace requires. Sometimes we need to surprise ourselves with the authority that His mercy has given us and bargain on that mountain of His goodness so that it pours right down into our open hands. But to receive that goodness, we need to actually open our hands. To be healed we need to know we are broken. To be cured of the sentence of death we need to acknowledge we need to be redeemed. Jesus told us in John 10:10 that He came so that we could live. He came so we could have abundance. And lately, it feels like the walls might close in if we don’t get air. But we often have amnesia of the soul, inundated with the reality of life broken all around. Everywhere we look there is hurting and suffering and brokenness. And here, in my home, the humdrum of living in the margins of life with the busy chaos of everything crashing around, we are starved for the simple beauty of attending to God instead of all other things. Sometimes we just need to withdraw into open space that grace provides to be revived and recharged for the tasks ahead. When our tank is empty and we are starving for grace, we need to remember to break away like Jesus did. 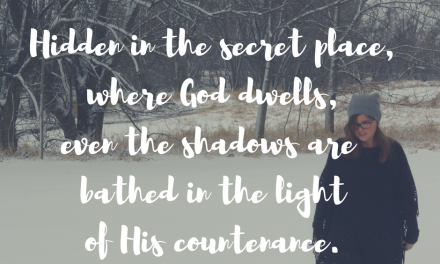 To absorb the solitude of waiting and learn the power of attending to God while we are built up in the beauty His hand has made. Sometimes we need to surround ourselves with beautiful things to remind us that He surrounds us with Himself when we settle into the rest He provides as we break away from the world and set ourselves apart unto Him. I didn’t think of anything but the beauty before me as we meandered around the conservatory today. Outings weren’t always all about fun for me. It was a lot of work to get out those doors without losing my sanity. But today we found ourselves in a cocoon of tropical warmth as we walked through the frosted glass doors into a garden of orchids and palm trees and waterfalls and koi fish. It was an all at once change. The quiet of our hearts settled as soon as we walked in and each of us found our own inspiration as we took off down different paths. The conservatory was small enough that I could see or hear my people, yet large enough that we each could settle into a corner behind leaves of a draping palm or a giant ficus and hide from the world. Once in a while a drop of water would plop on the lens of my camera, more than once I felt one slide down my nose. The artist flipped paper and sent wood and lead in motion mimicking each image, while the introvert snapped a few quick photos sitting right in the middle of the pond as her world slowed to a halt. 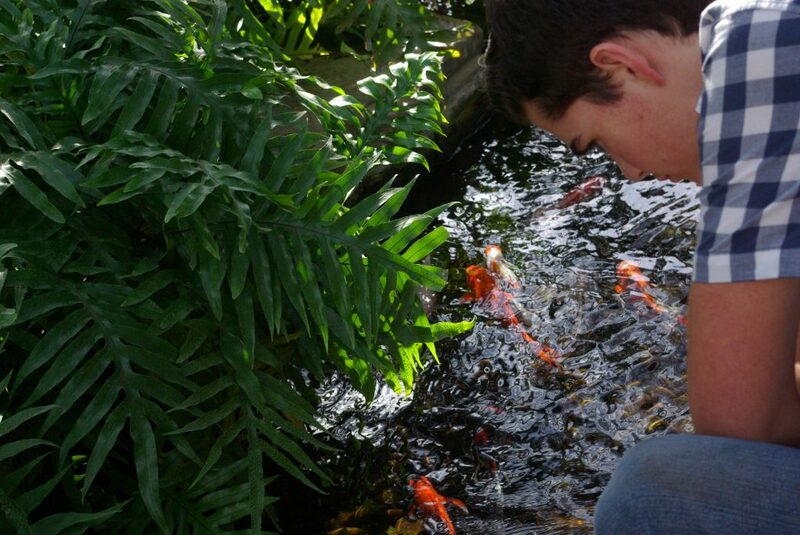 The extroverted busy child found his muse in the excitement of a scavenger hunt, looking for the pineapples growing along the path and the bean pods hanging high in the leaves of the palm branches and enticing the fish to follow the ripples his finger made in the water. More than once I heard laughter. It reminded me why I pulled my time-out card in the first place. I haven’t heard laughter like that in a while, from them or myself. We’ve been busy. We’ve had things that had to be done. And we needed this pause that taking a break provides. It doesn’t remove the work that is waiting to be completed. We had to return to the unfinished lists, sink full of dishes, and piles of laundry yet to be washed. It doesn’t get rid of the issues that our breaking selves create. We found that out on the way home when we had a hard time conversing about topics our hearts were still not ready to discuss. It doesn’t eliminate the hurt that choosing unloveliness seems to sow. We are still pulling up the weeds our selfish hearts have allowed to grow up and choke grace. 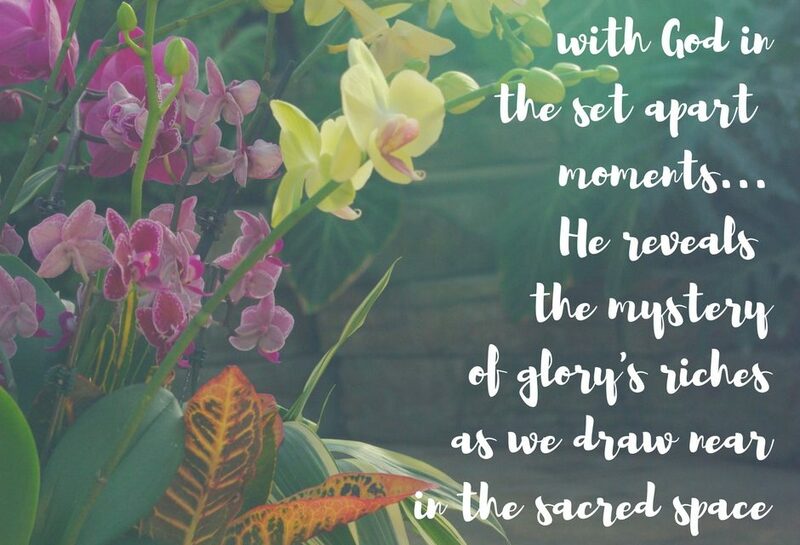 But when we look to the good… when we commune with God in what He sets apart… we start the process of redeeming glory in our days. Jesus is the antithesis of everything that is broken in us. He is the way we walk into grace. He is the truth that sets us free. He is the life that fills us to overflowing. Red-letter words lead us right to the Father. By Him we come, broken and real and raw, ready to offer the sacrifice of self in return for the bread and the wine that is consumed as we recline with Him. Ann Voskamp says we need to, “press his wounds to our wounds…broken body for broken body.” And if we need to take the wounded Savior as our replacement we need to also follow His pattern of breaking away. His pattern of communing is the answer we are given when we are longing for the simplicity of being wholly set apart for God. His covenant is a vow, a reverse of the world’s way, sealed in the sacrifice He paid. A daily Eucharisteo to let us break away. 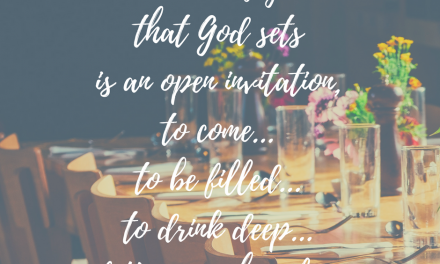 We have permission to abandon the breaking by taking up the broke sacrament to experience grace. This act of taking the blood and the bread of the broken body of the Savior, a communion of living in continual connection to the Holy One, is our breaking from the world. He stained creation red with his blood absorbed on a Cross to cross the chasm of brokenness that our continual dying kept us from reaching. Through grateful surrender into this covenant living which a eucharistic life provides we are changed. We are set apart in order to experience the riches of His glory. Martin Luther pondered the mystery of the glory of grace… the wedding of His soul to ours as we commune in the beauty of His glory and partake in the exchange of His brokenness for our own. “What Christ possesses belongs to the believing soul…and what the soul possesses belongs to Christ.” -Martin Luther. When we accept the cup He pours out for us… overflowing with grace, mercy, and love… we are part of the great exchange. The contents of our soul flow out as He pours Himself in. 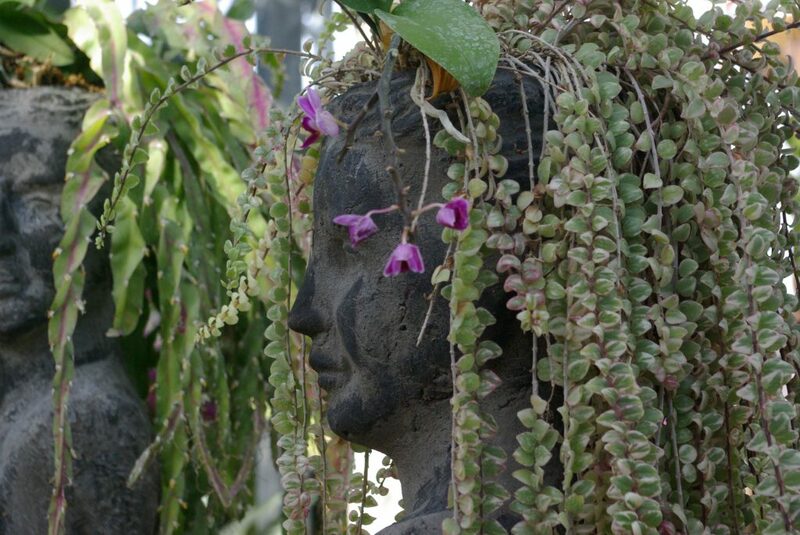 He connects his broken beauty, life pouring life, into our brokenness. 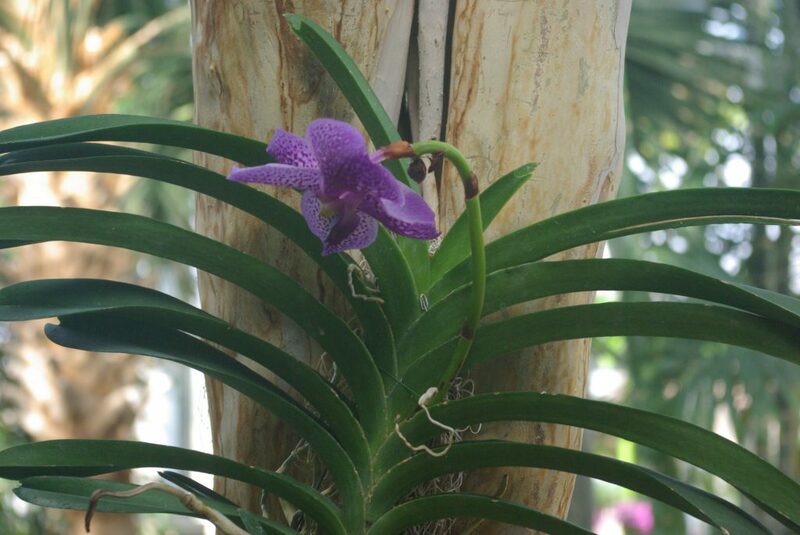 Because His Holy Love is a wholly full love that spills grace…always…beauty will bloom in the breaking of our lives. 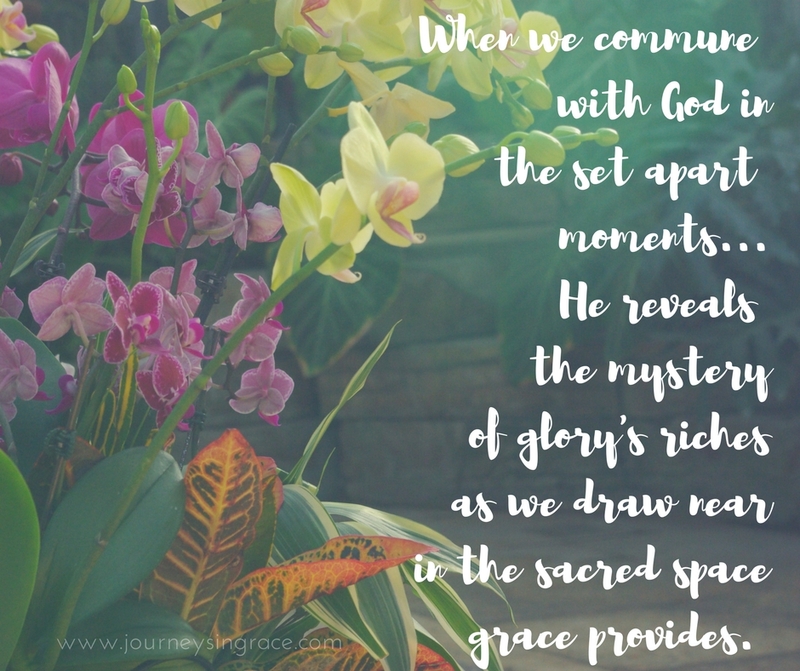 Out of our active breaking, our waiting for Him to show up as we settle into His beauty blooming all around, we meet up with grace in a way that builds us up for the everyday things we are called to walk through. We are permitted to take those time-outs friends, because we need to follow His example and break away from the crowded noise the world spins round. 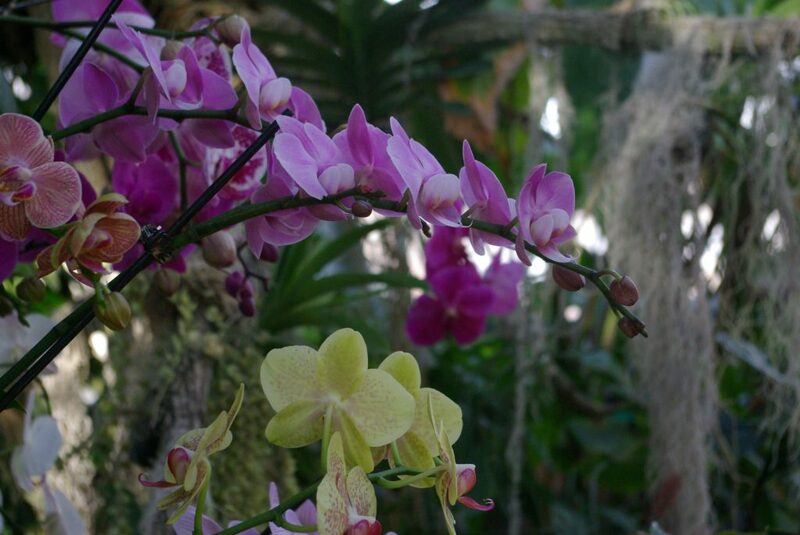 We found ourselves wandering to the end of the circle of orchids at the same time. Each of us being called back to reality but released from the heaviness that the busy seemed to layer upon us. Wonder seemed to multiply in our minds as creativity began to bloom again in our hearts. The settled awe of gratefulness that spending time in God’s good things tends to energize our souls. And gratefulness spilled, even for a little while, so that when we had to deal with all the rest of our living spaces we did it from a state of resting first in Him. 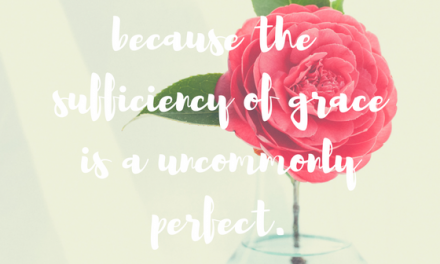 How are you counting #gracemoments in your times of breaking away? Moments to be with God to refresh and renew is so healing to my soul! I love this, Dawn: “We all needed the freedom that choosing grace requires.” I too often don’t take this freedom when I should be grabbing it with both hands. So thankful for grace to return again and again to freedom! Your photos are beautiful! Thanks for sharing them! It’s so nice to see living beauty like this when winter seems to drag on. Dawn, I love the thought presented by Martin Luther. It is such a beautiful and comforting idea, to think that what is mine belongs to Christ and what is His, now belongs to me. That for all my brokenness, failures and weaknesses, I now get His righteousness and goodness. What a needed reminded this was to my soul that there are times to break away and choose grace for the moment, to rest at His feet. Thank you for sharing this, Dawn. God bless you, friend! This is a beautiful post. I take an hour with Him every night. It is sanity in this world. Thanks for hosting!